Greetings!! 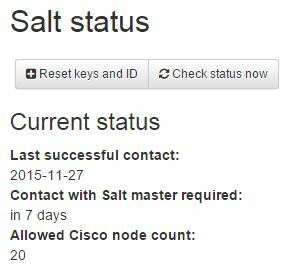 So I’ve been playing with the latest Cisco VIRL release (v1.0.0), and let me say for the record, I like it!! Of course I’m still relatively new at VIRL and have much to learn, but I am very impressed by the latest release. AND I’m very pleased with the new bare-metal VIRL installation I have! If you recall, several months ago, I installed VIRL on my new desktop system (Quad core i7 processor, 32 GB of RAM, fast SSD and storage drives, Windows 8.1 and VMware Workstation 11). VIRL ran very well on that system, which is to be expected, but there were times when my PC just behaved a bit strangely…a bit of pausing, some hiccups…you know what I mean. Of course I was running other power hungry programs at the same time…Photoshop and Lightroom. This installation is a bit more complex…you have a physical PC, running Windows 8.1 for an operating system, running VMware 11, which runs a VM (Virtual Machine), which is running Linux, which then runs it’s own VM that runs the network simulation (routers, switches, etc). Whew…it’s complicated just typing all of that out! So…I decided to upgrade my Dell 2950 PowerEdge server a bit. I added RAM and another processor, so it now has: dual Quad-core Zeon processors (3 Ghz); 16 GB RAM; and fast 15K RPM drives. Let me tell you…this thing screams. Yes, it has less RAM than my PC, but now it will be dedicated to just Linux and the network simulation…nothing else. The new setup is much simpler now…a physical server, running Linux, which runs a VM for the network simulation. Everything is looking very good here. Of course, I am using just IOSv nodes (routers)…they are the least CPU and RAM intensive. If I were using other node types (NX-OSv, ASAv, CSR1000v, etc) then I would be running out of resources sooner and would have to balance the number and type of nodes I could run in a simulation. What will help is to upgrade my RAM to 32 GB, which I will do early next year. Do you like what you see? Then take a look at VIRL…I think you will be very pleased. 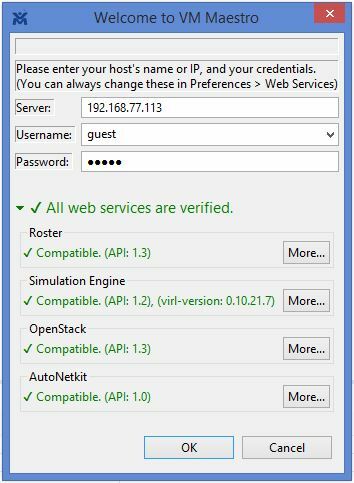 This entry was posted in Cisco virl and tagged cisco virl, gns3, network simulation, virl on November 30, 2015 by sr71rocks. 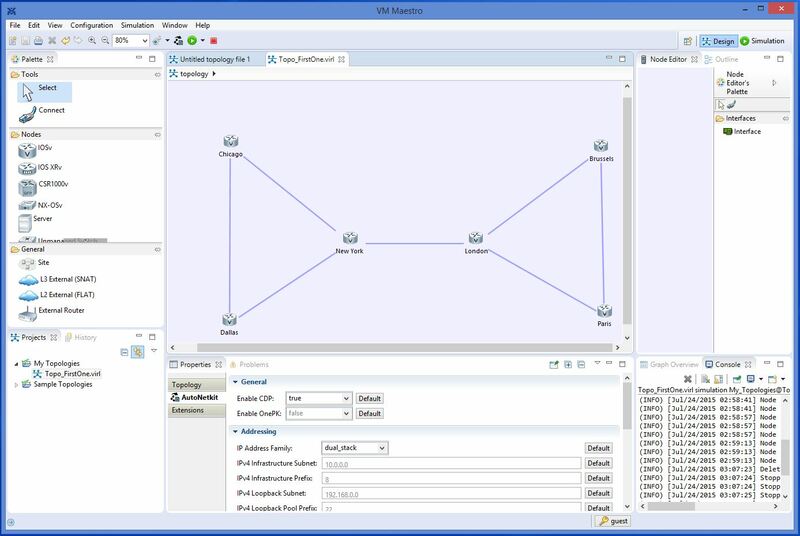 Cisco just released yesterday (November 26) an updated version of VIRL (Virtual Internet Routing Lab), version 1.0.0….and let me tell you, it has some great enhancements! 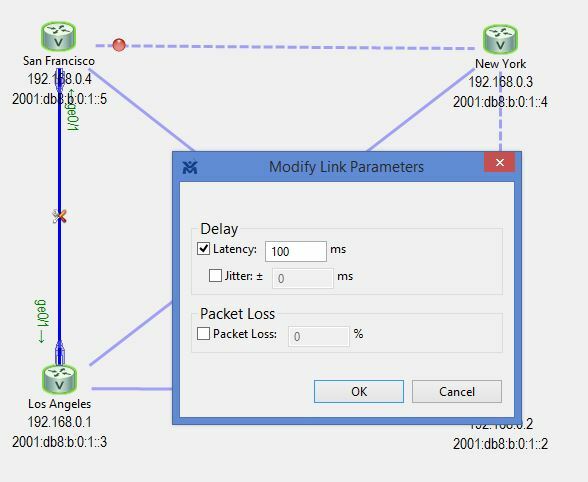 You now have the ability to modify parameters on a link…you can configure latency, packet loss and jitter. AND they have increased the node count to 20 (up from 15). This is WAY cool stuff! First though, you need to upgrade to the new version, which I just did. NOTE: This post is just a high-level overview of a VIRL installation, so you can get a taste of what it takes to install it. Please reference the noted links below to get the full instructions when you are ready to install VIRL. A great place to start is the Cisco VIRL homepage. STEP TWO: Installation. Unfortunately, you cannot do an in-place upgrade…you must do a fresh install. Go to the VIRL installation documentation and pick your method (for me, it’s ISO to Bare-Metal), and follow the directions. It will take time, so be patient and follow each step carefully. It took a lot of time to figure this one out, but I found a posting that addressed this issue. It has to do with running VIRL on a bare-metal server that does not have the minimum required 5 physical interfaces. You can setup dummy interfaces to handle this, which I had done, but there were some additional steps needed to fix some bugs…here is the link if you have the same issue. All four agents are running! And all services are running! With the proper server IP, username and password…everything goes green! This is VERY cool…and there is much more to this new version…I have only just touched the surface of all the new features. Cisco has done a great job of putting a fully functional network simulator into our hands….let’s make great use of it, and let’s give Cisco our thanks!! They deserve it!! 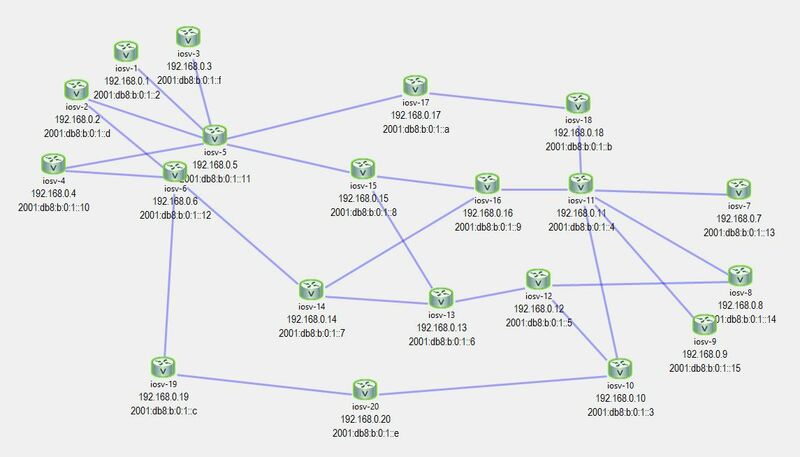 This entry was posted in Cisco virl and tagged cisco virl, gns3, network simulation on November 27, 2015 by sr71rocks.